Creator and director Karim Ben Khelifa will be at the Phi Centre‘s press visit on February 12 to present his project to the media. 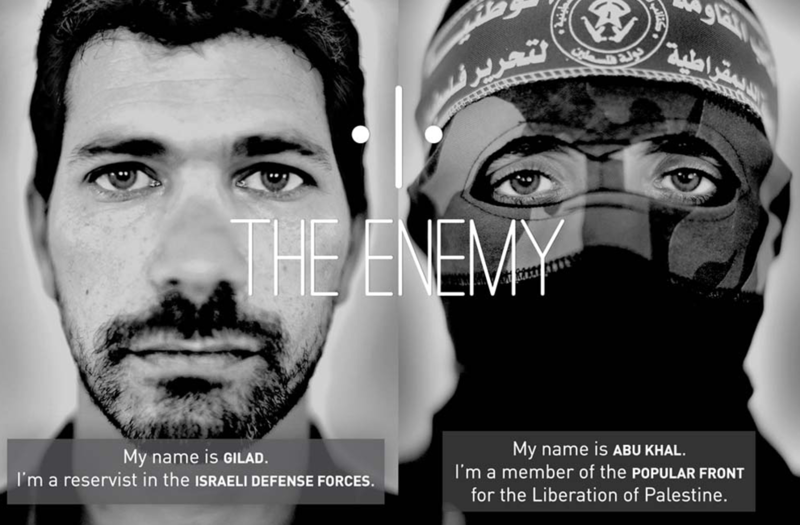 The Enemy, a virtual reality installation by photojournalist Karim Ben Khelifa will be presented by the NFB and Phi from February 10 to March 10. It is an unprecedented experience, available in English and French, that reveals the human side of war through the stories of six combatants fighting in three of the world’s most complex wars: the gang wars in El Salvador, the civil war in Democratic Republic of Congo and the Israel-Palestine conflict. By meeting these combatants face-to-face through virtual reality, visitors find themselves in the journalist’s seat and become invested in trying to bring the world’s attention to these conflicts and the suffering they produce. “We make sense of the world through stories and we remember it through experiences.” – Karim Ben Khelifa. Gilad and Abu Khaled, Jean de Dieu and Patient, Amilcar Vladimir and Jorge Alberto: They are at war on a daily basis, but in The Enemy, they appear face to face to answer Karim Ben Khelifa’s questions and share personal and exclusive stories. What exactly do we know about these combatants? What do we really understand about the motives that push human beings to engage in combat—putting themselves at risk of both being killed and becoming killers themselves? And why continue to fight over the course of several generations? What does freedom look like for these warriors? What is their future? Being in front of these men, and sometimes in between them, gives the visitor a better glimpse of their feelings. “I think that the most important factor is suddenly being able to read someone’s body language and feel their presence. They are talking directly to you” Karim Ben Khelifa said during an interview with La Presse. Twenty users at a time can experience these remarkable virtual reality meetings at the museum installation. Equipped with a VR headset and PC backpack, visitors are able to move freely in a room designed with three virtual spaces, each containing two combatants from opposing camps of a conflict. Photos and Karim Ben Khelifa’s voice guide the visitors before they meet the combatants, who look at and talk to them. The Enemy is also available as an augmented reality app, available for iOS and Android devices, that allows users to recreate the face-to-face meetings in their own homes.